The Della Rovere family was a noble family of Italy. It had humble origins in Savona, in Liguria, and acquired power and influence through nepotism and ambitious marriages arranged by two Della Rovere popes: Francesco Della Rovere, who ruled as Sixtus IV from 1471 to 1484) and his nephew Giuliano, who became Julius II in 1503. Sixtus IV built the Sistine Chapel, which is named for him. The Basilica of San Pietro in Vincoli in Rome is the family church of the Della Rovere. Members of the family were influential in the Church of Rome, and as dukes of Urbino; that title was extinguished with the death of Francesco Maria II in 1631, and the family died out with the death of his grand-daughter Vittoria, Grand Duchess of Tuscany. Giovanna dei Cattanei, commonly known as Vannozza dei Cattanei, was an Italian woman who was the chief mistress of Cardinal Rodrigo de Borgia, later to become Pope Alexander VI. Amongst them all, her relationship with him lasted the longest. Giulia Farnese was mistress to Pope Alexander VI, and the sister of Pope Paul III. She was known as Giulia la bella, meaning "Julia the beautiful" in Italian. Francesco Maria I della Rovere was an Italian condottiero, who was Duke of Urbino from 1508 to 1516 and, after retaking the throne from Lorenzo II de' Medici, from 1521 to 1538. Pompeo Colonna was an Italian condottiero, politician, and cardinal. At the culmination of his career he was Viceroy of the Kingdom of Naples (1530-1532) for the Emperor Charles V. Born in Rome, he was the son of Girolamo Colonna, whose father Antonio was second Prince of Salerno; and Vittoria Conti, of the Conti de Poli. His family belonged to the highest rank of nobility both of the City of Rome and of the Kingdom of Naples. Pompeo and his family were hereditary supporters of the Holy Roman Empire (Ghibbelines), and they spent their careers fighting their hereditary enemies, the Orsini family, and defending and expanding their family territories and interests. He played a significant, if sometimes disruptive, role in the Conclaves of 1521 and 1523 on behalf of the Imperial interest. His family commitments and his conclave activities brought Pompeo into conflict with the second Medici pope, Clement VII, whose election he vigorously opposed, and made him a leading figure in the overthrow of Pope Clement and the Sack of Rome in 1527. Ippolito (I) d'Este was an Italian Roman Catholic cardinal, and Archbishop of Esztergom. He was a member of the ducal House of Este of Ferrara, and was usually referred to as the Cardinal of Ferrara. Though a bishop of five separate dioceses, he was never consecrated a bishop. He spent much of his time supporting the ducal house of Ferrara and negotiating on their behalf with the Pope. The Diocese of Saluzzo is a Catholic ecclesiastical territory in the Piedmont region of northwestern Italy, centered in the comune of Saluzzo. The diocese was established on 29 October 1511, and was directly dependent upon the Holy See. It is now a suffragan of the Archdiocese of Turin. 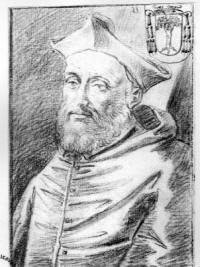 Juan Carvajal (Carvagial) was a Spanish Cardinal. Though he began his career as a lawyer and judge in the papal administration, he spent most of his active life travelling as a diplomat in Germany and eastern Europe, attempting to arrange a crusade against the Ottoman Turks. He was particularly active in Bohemia and Hungary, where he also employed his powers to fight the Hussites. He was a mainstay in trying to preserve the institution of the Papacy from the Conciliarism of the Council of Basel. 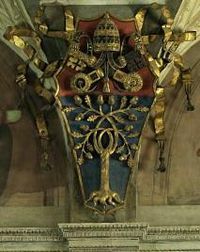 Agostino Trivulzio was an Italian Cardinal and papal legate. 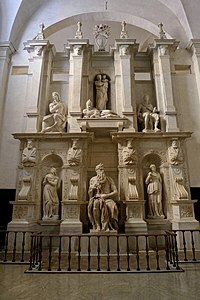 He was from a noble family in Milan, the eighth child of Giovanni Trivulzio di Borgomanero, a Councillor of the Dukes of Milan, and Angela Martinengo of Brescia, and was the nephew of Cardinal Gianantonio Trivulzio (1500-1508). 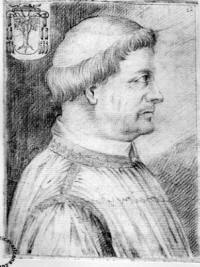 Another uncle, Cardinal Antonio's brother Teodoro, was Governor of La Palice, of Genoa, of Milan, and a Marshal of France. 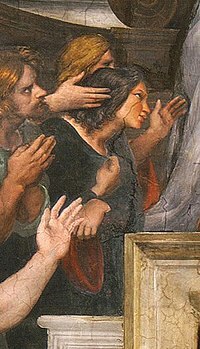 Giovanni and Angela had a daughter named Damigella or Domtilla who was famous for her learning. Cardinal Agostino Trivulzio had a nephew named Giovanni, who married Laura Gonzaga.